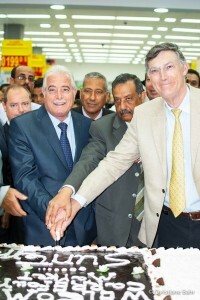 On 22 March 2014 Gen. Khaled Fouds, Governor of South Sinai opened the newest Carrefour branch. 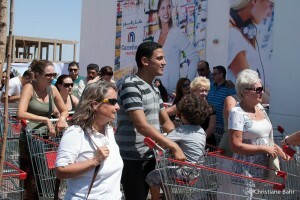 Four years after seeing the Express branch opening its doors in Naama Bay, the group started with a bigger Market shop at Sunterra.Carrefour invested 50 million LE in Sharm and is currently employing 200 staff in their two branches.Carrefour Market presents a new experience of shopping in Sharm el Sheikh. 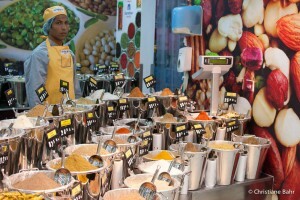 Besides the vast range of groceries with fresh fish and daily baked bread (try the baguette it is delicious!) 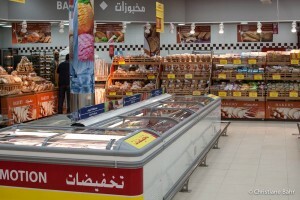 the selection on kitchenware and electronics is enormous.